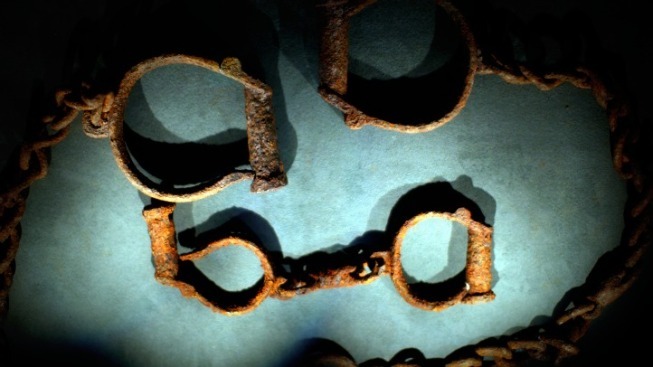 Insight on American slavery in the past and present. For some, Presidents Day is another holiday for us to lounge around and enjoy the day off. This year, switch it up and do something educational. President Lincoln's Cottage (140 Rock Creek Church Road NW) has opened an exhibit called Can You Walk Away? : Modern Slavery: Human Trafficking in the United States. The exhibit bridges the perceived gap between slavery of the past and present. Explore powerful imagery, video footage and compelling statistics when considering Lincoln's ideas about slavery -- and discovering the harsh reality of slavery in the present day. Today, human trafficking is a $32 billion-a-year industry and is one of the fastest growing criminal industries in the world. Some 12 million people are held against their will in compelled service across the globe. The exhibit is part of a year-long commemoration of the 150th anniversary of Lincoln developing the Emancipation Proclamation at President Lincoln's Cottage. will be open through Aug. 31, 2013. Admission is free; the cottage is open Mon.-Sat. 9:30 a.m.-4:30 p.m. and Sun.10:30 a.m.-4:30 p.m.